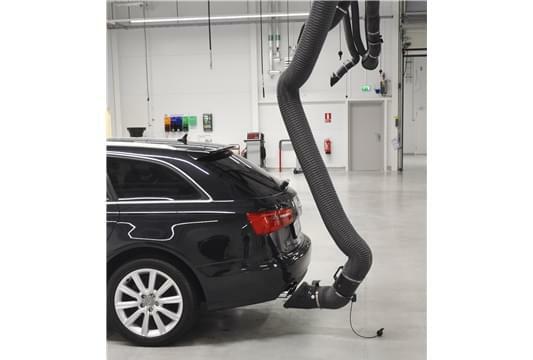 The SLIDING ELEMENTS are products that have been designed to extract exhaust fumes from many work positions because they can move from one work area to another by running along the aluminium rail. 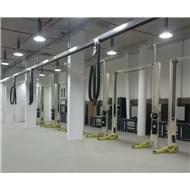 In order to meet the various needs and necessities of workshops, trolleys, hose reels, arms, and the innovative TOUCHLESS system have been developed. 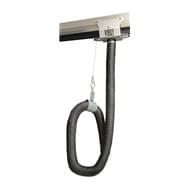 Although they approach the exhaust pipes of the vehicles they never come into contact with them instead they remain suspended. 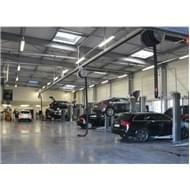 This enables them to be used for all commercially available vehicles. 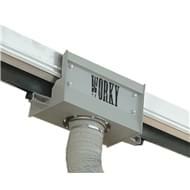 These systems can extract fumes thanks to a fan mounted upstream and as they travel they cover a much larger area than fixed systems. 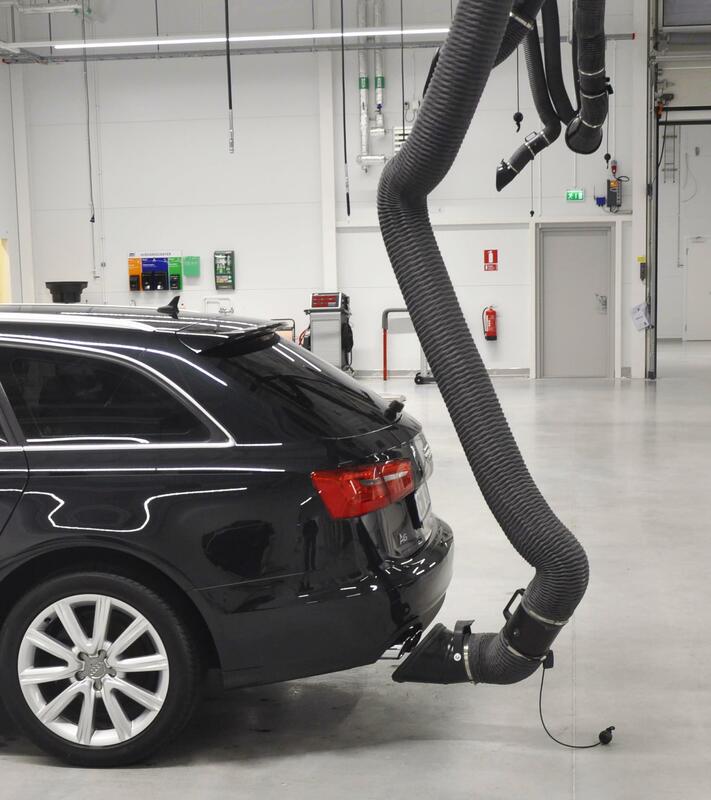 As they can get near the exhaust pipe, not much hose is needed and when there are a lot of working places along the line just a few sliding elements need to be used to cover all the work areas. 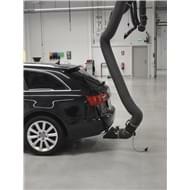 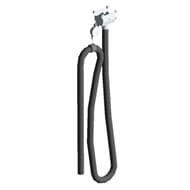 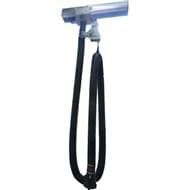 The sliding systems are the most flexible and evolved way of extracting exhaust fumes. 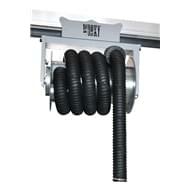 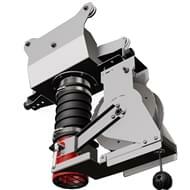 Sliding trolley on rail with flexible hose and balancer for automatic control of the opening of the shutter valve.